What a busy busy couple of days masha'Allah. In language we got an introduction to our new ten passwords (sight words!) the students practiced reading them, and then we managed to put them into some interesting sentences. In science/math we talked about different kinds of measurement tools: thermometer used to measure temperature, scale used to measure weight, ruler or measuring stick used to measure height or length etc. We ended the lesson with the students getting weighed and comparing the weights using the terms: more, less, most, least. We have a cool science experiment hanging on top of our chalkboard. We have three ziploc bags, each with a slice of white bread inside. One slice was touched by every single student and teacher in our class, the other slice was breathed on by every person in the class, and the third was carefully placed using tongs into the ziploc bag. 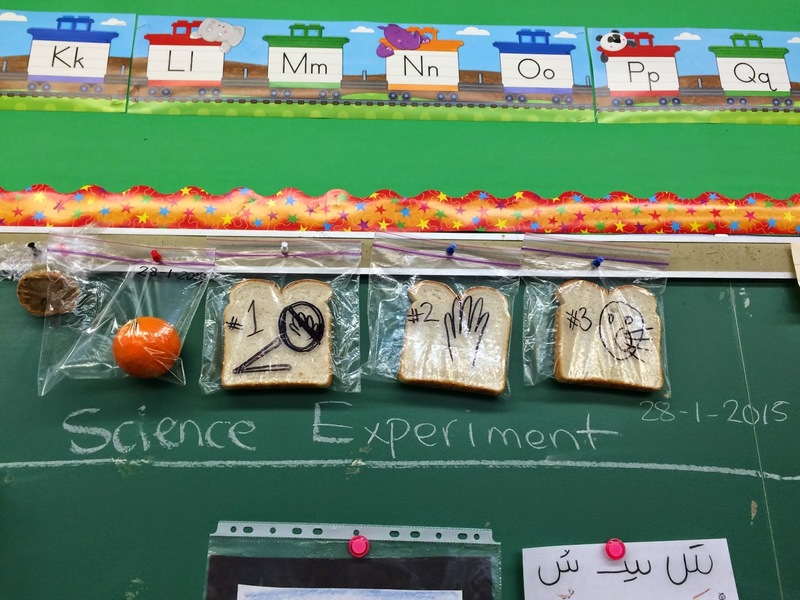 The children will get to see first hand the difference between food that has been contaminated vs. food that has not been exposed to contamination. The students made predictions on what they think will happen, and we will be monitoring closely over the next few days to see what happens insha'Allah. In Islamic studies we are discussing akhlaaq. We are using drama to act out various scenarios related to akhlaq (manners). What to do if someone has something you want? If you hear someone saying something negative about someone else should you go tell them? Should you call someone a name that might hurt their feelings? In gym class we had a great time warming up with jumping jacks, burpees, 40 second plank, sit-ups, stretches, and balancing on one foot. We then played pac-man, and alien tag. We are going to continue working on our dioramas this upcoming art class, the students are very excited about this project mashallah. Thank you for your amazing support and cooperation. We had a very beautiful day today mashallah. We welcomed our dear friend Maryam back to the class, she was greatly missed by everyone! In mathematics we started our unit on measurement. 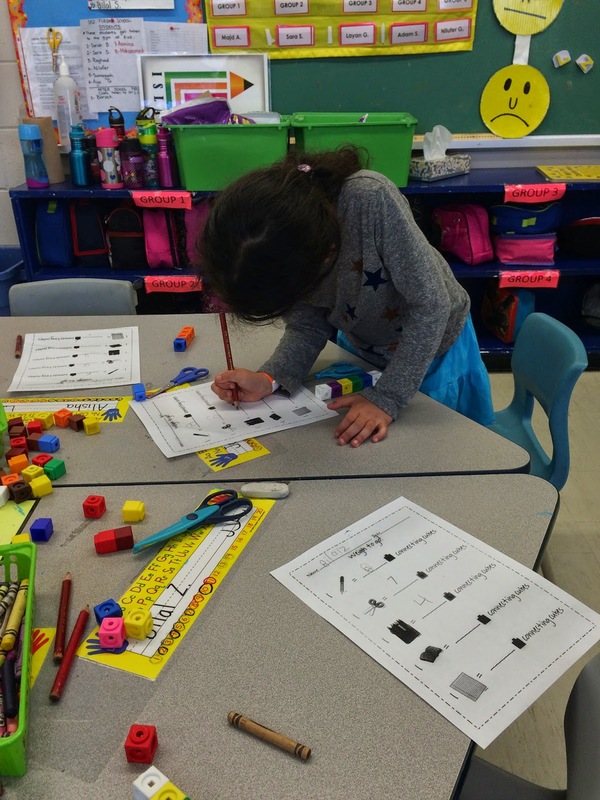 We used snapping cubes to measure different things around the classroom. Students loved using manipulatives to do math! In language we practiced rhyming words, stretching out words to figure out the beginning sound, and the ending sounds, and we reviewed our vowels alhamdulillah. 1- Is the story fiction or non-fiction? 2- Who is the main character of the story? 3- What is the setting of the story? 4- What is your favourite part of the story? Today we had indoor recess, during that time the children enjoyed playing the game "Heads Up 7-Up", and some much-needed free play. Alhamdulillah, for a wonderful day! 1- Please send in your child's washed pillow and blanket for nap time. 2- Homework and library book are due on Wednesday. 3- Tomorrow's Show & Tell is the Mystery Object. Please help your child select one object, place in the brown paper bag provided and help your child learn to say 3 clues about their object. 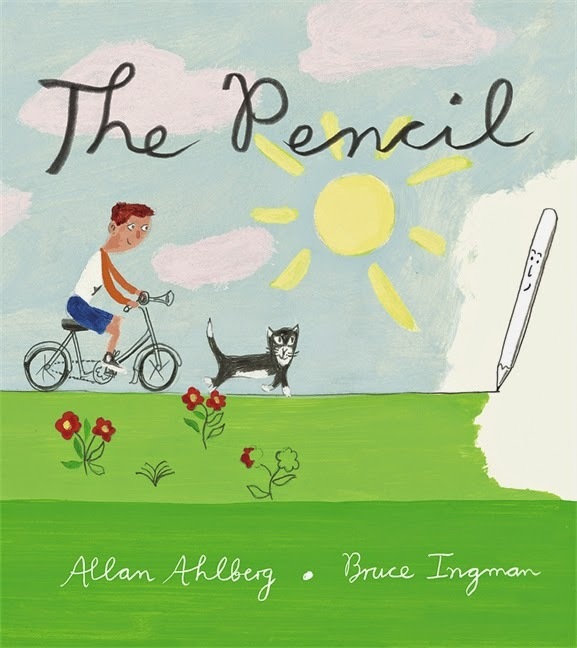 You may wish to write out the clues so that the teachers can help prompt them if they forget. 4- Please do not let your child bring toys to school, unless a toy has been requested. Thank you to all of you that have sent in nutritious snacks for our snack bank. Today we started off our day by working on finishing our unfinished work in out Phonics Book 2. We then had Arabic with Tr.Salam :) in Arabic we are working on the letter -raa. The students did a really great job presenting their Show & Tell. This week's subject is something yellow! We had a banana, an airplane, wolverine figurine, and some rubber duckies. During gym time we had a good warm up followed by a game of pacman, and dodge ball. It was an indoor recess today! We used that time to watch a little show, and play indoors. We introduced the letter Ff- and brainstormed for different words that begin with Ff. Alhamdulillah it was a very productive day! Alhamdulillah we had a very busy day today filled with fun and excitement. We are still missing a few of our classroom friends, and can't wait for them to return to our classroom insha'allah. We started off our day with some educational/fun centres. The kids had the chance to choose to participate in the following centres: playdough, writing/drawing, whiteboards, blocks, and math (roll and record using dice). After centres we did our morning routine: quraan, du'aa, morning message, and calendar. We did a mini-language lesson on syllables, and we also talked about the importance of vowels! (the glue to forming words). 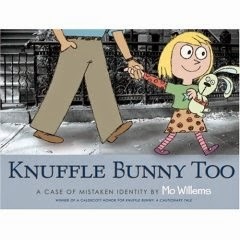 We read the story of Knuffle Bunny Too, by Mo Willems. The kids then had fun clapping out some of the syllables in the story. Teacher Hoda started a new sura with the class, they are now working on surat Quraish. In math we worked on the numbers 5, and 6. We learned how to record them using tally marks and letters. In Arabic the students are learning a beautiful nasheed about prophet Mohammed PBUH. We had lots of fun outside playing in the snow!!! Some of the children had to borrow snow pants from the class supply. PLEASE PLEASE PLEASE make sure your child comes to school prepared to go outside!!!! In the afternoon we had a fun French class with Monsieur Said where we learned the letter Hh and some vocabulary associated with this letter. Looking forward to a fun and exciting day tomorrow insha'Allah. *** Our facial tissues (kleenex), and snack bank supplies are reaching an all-time low, please help us by sending in a tissue box, and a nourishing snack with your child. Alhamdulillah we had a very smooth transition back to school. The students worked on learning the numbers three and four. In language we read the story of "The Giving Tree", after this story we discussed the main ideas of the story: kindness, giving, compassion, and happiness. We also used our math skills and reading skills to follow a playdough recipe, alhamdulillah we made a huge batch of blue playdough for us to enjoy in the class. Language: The letter Uu, and Ll. We will be learning how to break a word into syllables, this will come in handy once the children begin to write independently insha'Allah. 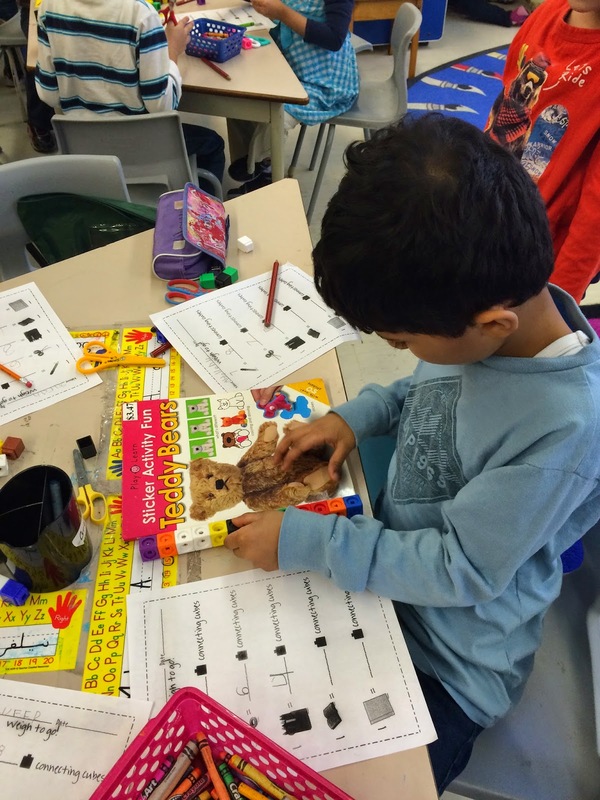 Math: In mathematics we are still working on the following skills: Writing and reading number words, using tally marks to record a number, and using dice to roll and record. 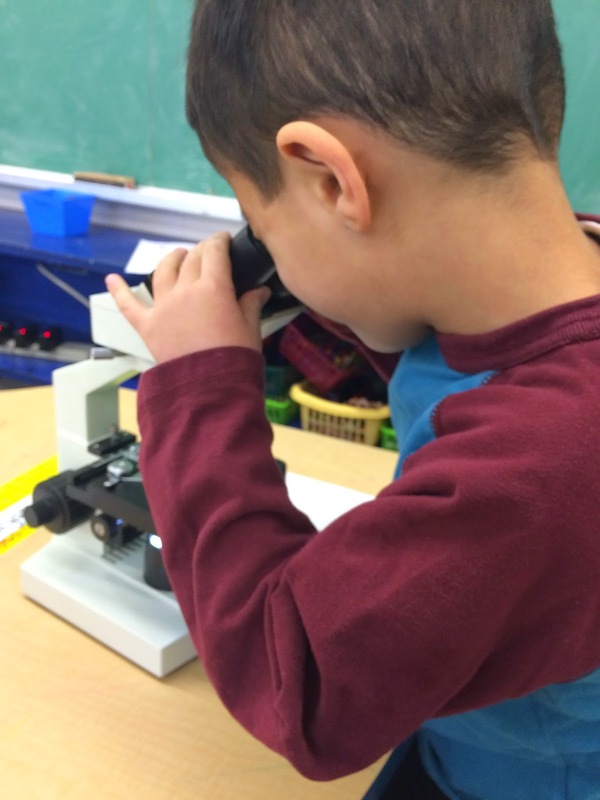 Science: In science we are working on the concept of Living Things vs. Non-living Things. Insha'Allah we will be introducing the children to an in-class diorama project that they will be working on. Islamic Studies: This months character theme is "leadership", we will be talking about the greatest leader of mankind Prophet Muhammad (peace be upon him). Looking forward to an amazing week insha'Allah.